Although it's been already two years since the four-week road trip through California, I'd like to share some pictures. 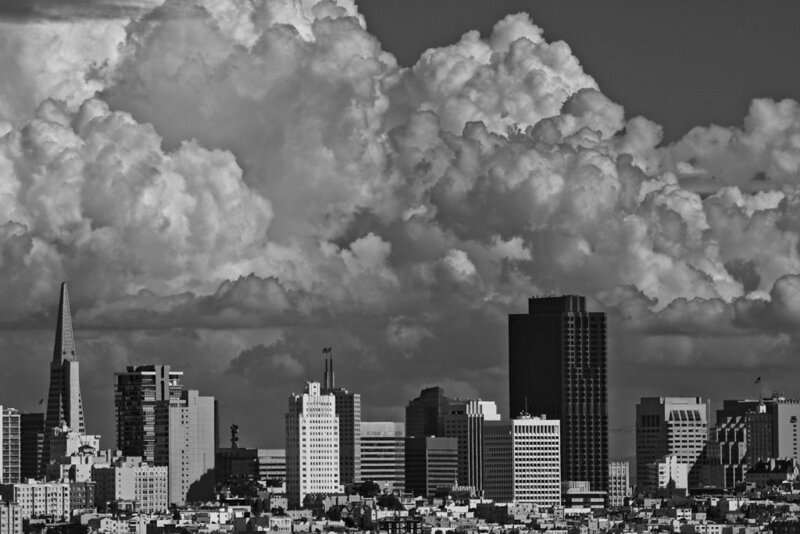 California is the most diverse state of the US that I've seen so far, as it offers deserts, woods (inhabited by bears and the massive sequoia trees, amongst others), mountains, coasts and, of course, with Los Angeles and San Francisco two of the largest and most popular cities. Also, California has lots of other sights, that might not be as well known. 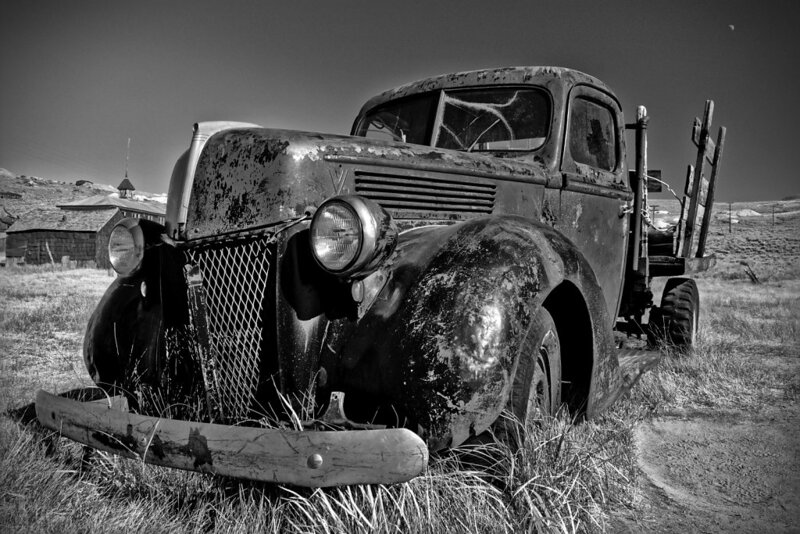 For instance the ghost town Bodie, which was abandoned in the 1930s. Head over to the Albums section of my page to see more of the images! 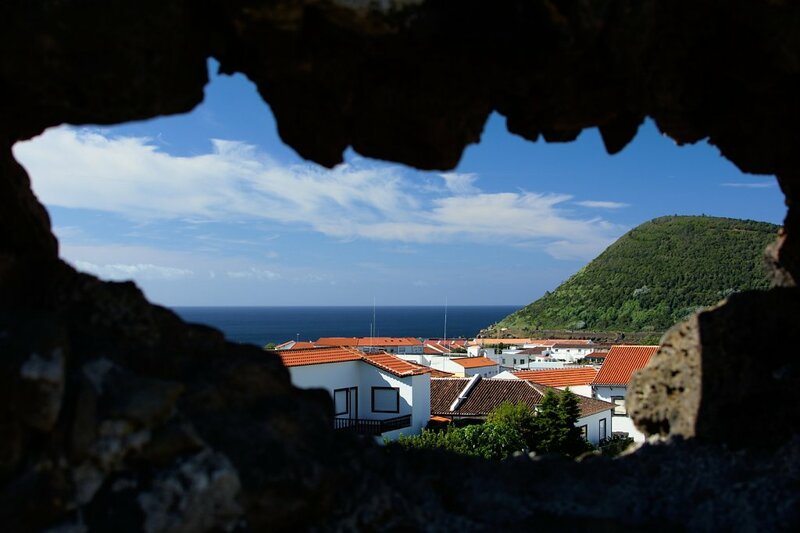 The Azores, an archipelago in the middle of the Atlantic Ocean have been a destination on my so-called "To Go List" for a very long time. Last year, in August / September 2013 the dream came true, finally. The Azores form a group, consisting of 9 islands of volcanic origin, in the middle of the Atlantic Ocean, about 1,000 miles (1.500 km) off the Portuguese and almost 2,000 miles (3.000 km) off the North American coast. The very specific climatic conditions establish the foundations of a species-rich and manifold flora. 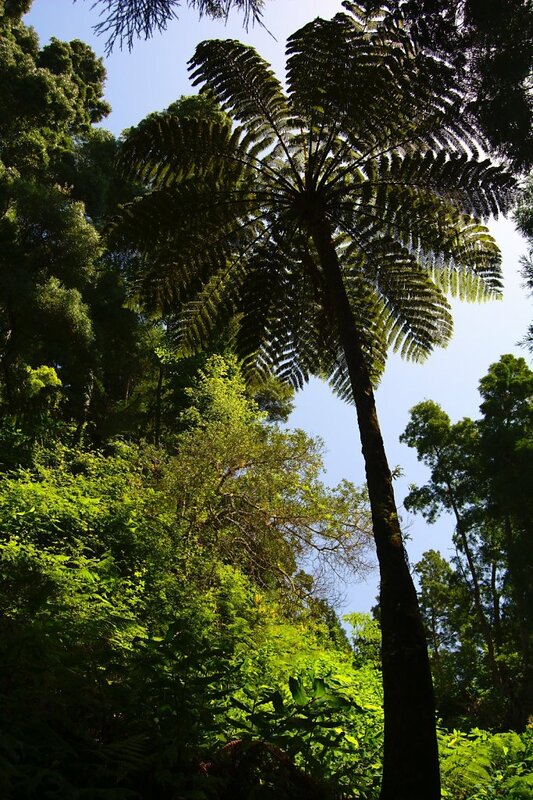 The endemic flora has been enriched by plants from all over the world that have been brought to the islands by migratory birds, sailors and botanists. The Azores are one of the best places for whale watching worldwide. Waters there, along the mid-Atlantic ridge, offer ideal conditions for a multiplicity of whales and dolphins. Nutrient-rich upwellings allow a high biodiversity. Whaling affected the history of the islands until about 1985. Today priorities have moved on to sustainable fishing and ecotourism. Purse seine net fishing and trawling, which caused high by-catch rates, have been banned for many years. While lots of species of whales can be encountered during spring and summer, e.g. blue whales (the largest, heaviest animals on earth), fin whales, humpback whales, sei whales, many other species, e.g. sperm whales or - in rare cases - killer whales, can be observed, if you're lucky, throughout the year. 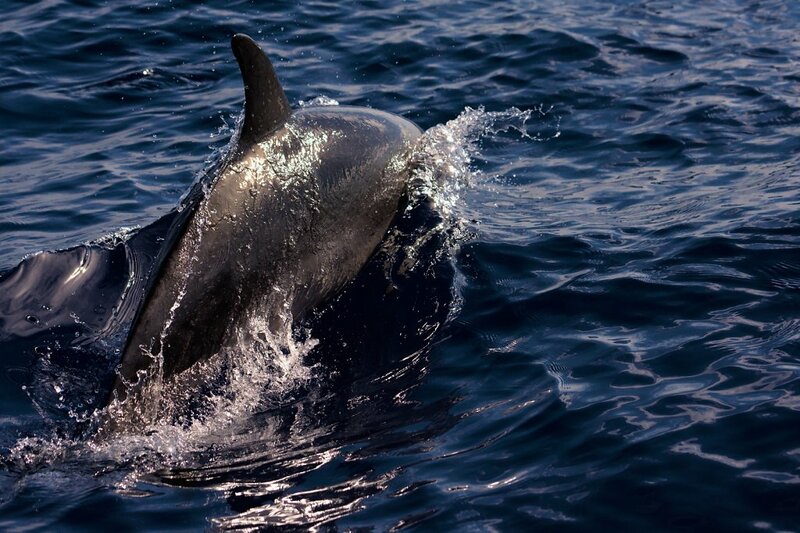 Some species of dolphins can be seen in Azorean waters throughout the year as well, for example bottlenose dolphins, common dolphins, Risso's dolphins or striped dolphins. Other species occur mainly during the summer months, e.g. Atlantic spotted dolphins and Fraser's dolphins. Dolphins are often found in schools of 100 or more animals. During a whale watching event you often are accompanied by a group of dolphins. Having visited the islands of São Miguel, Terceira and Pico, I would like to take you on a photographic journey to the Azores now. Feel free to have a look at the Azores photo album on this website. And please check out this nice book I've created using the blurb platform once again. The book is available as hardcover (dust jacket or ImageWrap) and even as an ebook (iBooks format). In 2012, around this time of the year, I've been to Namibia with Marco Polo. It was a fantastic trip and the first time I've been to Africa. Namibia is a wide, vast country that offers lots of contrasts (cities vs. landscapes, sea vs. deserts, mountains vs. bush land, and so on) and never runs out of interesting subjects for photographers! Reviewing my images after a year, I've decided to convert lots of them to black & white. Sure, Namibia is rich in colors, but also most of the above mentioned contrasts are - in my opinion - more interesting when simplified in black & white. 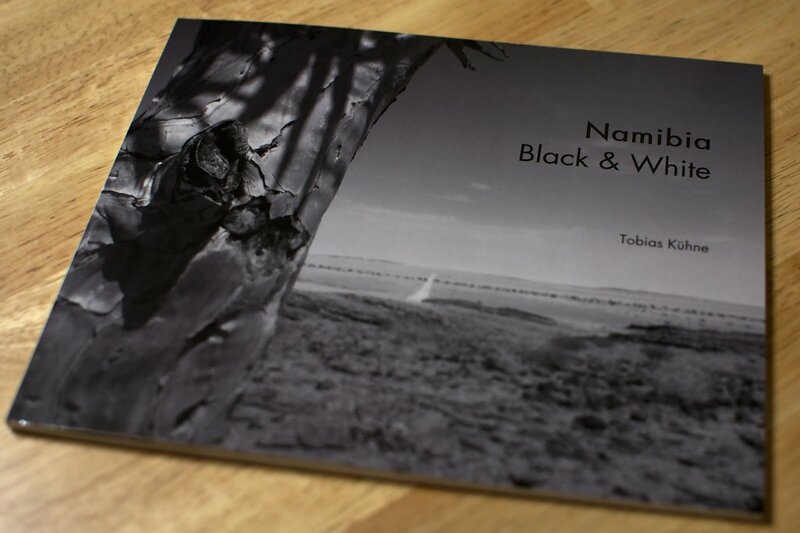 Feel free to have a look at the Namibia Black & White album! Furthermore, I offer most of these photographs as a book. You may preview the book here. Welcome to my shiny, new website. It's all about travelling and photography. Feel free to navigate through my albums. The first ones are up and show some pictures of the Estonian capital Tallinn, the beautiful, wide country of Namibia and, last but not least, the Azores islands. More pictures are coming soon. To those who are interested, I will also offer to purchase some nice books, published by blurb. So stay tuned. You may even follow me on Twitter. Oh, and by the way, this is one of my favorite images from my last trip. 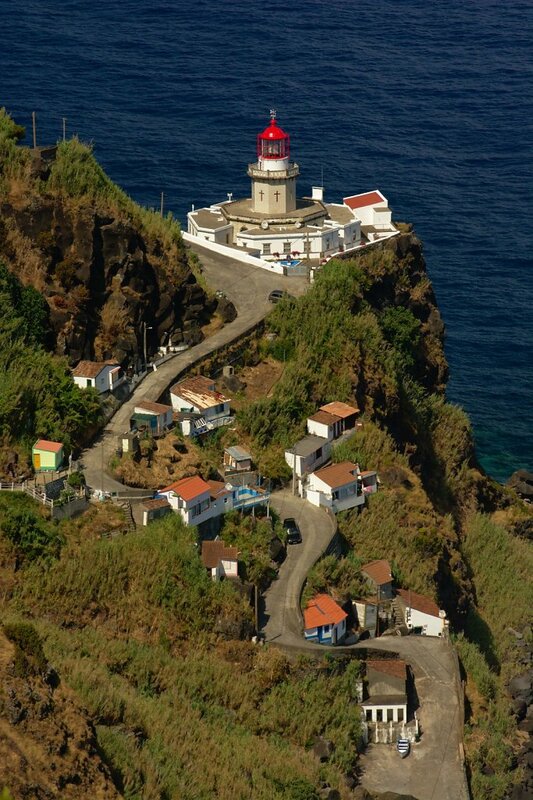 It shows the lighthouse of Ponta do Arnel at the east coast of the island of São Miguel. What do you think about it?